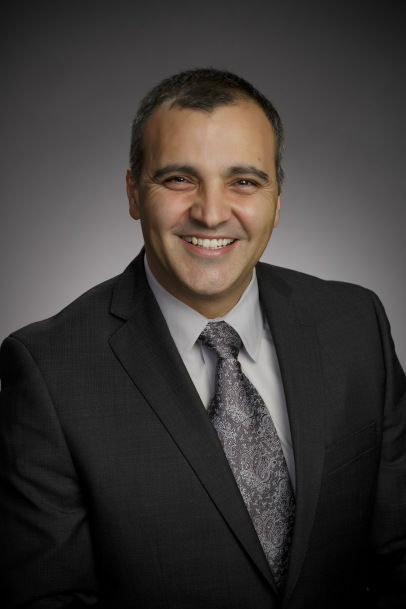 DONNA — The local school district’s board of trustees approved Hafedh Azaiez’s contract as new superintendent of schools. The three-year contract approved by the Donna school district trustees on Friday becomes effective on July 10, when Azaiez will assume the position. His salary is set for $183,000 per year plus benefits, which include a one-time $5,000 moving allowance, $650 per month for transportation, a $250 cell phone allowance per month and a 50-percent contribution to his monthly retirement allotment. The district lowered the overall pay and terms of the contract compared to the last two superintendents whose contracts neared or exceeded the $200,000 mark. The contract also eliminated previous incentives that gave superintendents $5,000 if the district was deemed by the state to have “met standard” academically, and an additional $2,000 for every campus that met this goal individually. Board President Efren Ceniceros said they wanted to go with a starting salary that better represented the district’s size and his experience, considering this is his first superintendent position. But Ceniceros said Azaiez was cooperative and understanding of the offer from the beginning. Azaiez was named lone finalist early this month after the district hired the San Antonio firm JG Consulting in a national search that yielded 37 applicants. He is the current assistant superintendent of middle schools at the Spring school district north of Houston. He has been an educator in different capacities since 2002 when he began his career as a middle school science teacher and coach. He later filled several administrative positions, including assistant principal, principal and lead principal. Azaiez is fluent in English, Spanish, Arabic and French, has a bachelor’s degree in physics and chemistry from La Faculte des Sciences de Tunis, in Tunisia, masters of education from the University of St. Thomas and a doctorate of education in educational leadership from Sam Houston State University. Interim superintendent Filomena Leo has been leading the district since former Superintendent Fernando Castillo’s resignation Feb. 20. Ceniceros said Leo will stay with the district until July to help Azaiez with the transition.